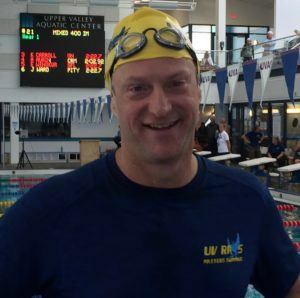 Fritz Bedford of the New England Masters Swim Club notched yet another world record last weekend, competing in the 10th Annual Leaf Peepers Masters Mini Meet at the Upper Valley Aquatic Club (UVAC) in Vermont. 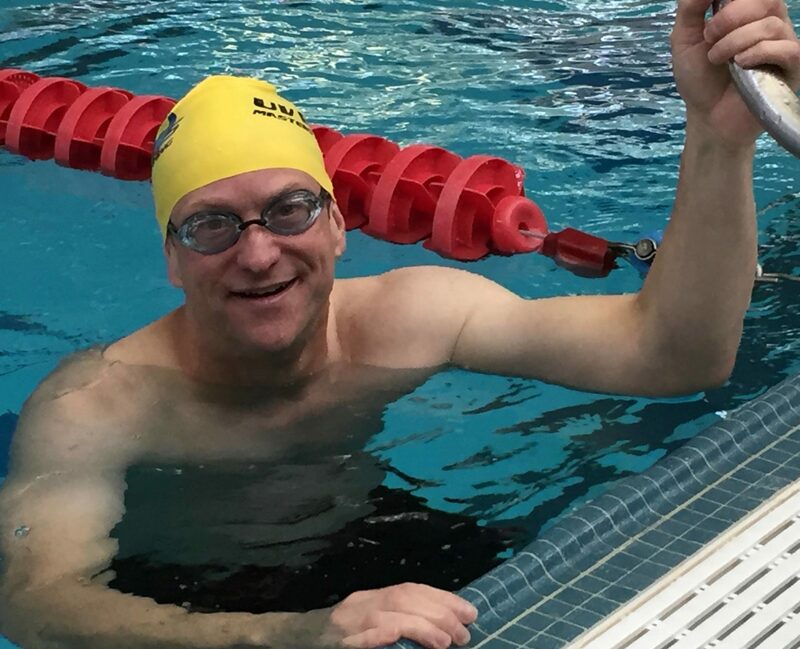 During the three-hour meet, 55-year-old Bedford launched three attacks on the record book, each time taking aim at a record held by USA’s Steve Wood. In his first event, Bedford’s 28.16 in the 50 backstroke was just off Wood’s world and national record of 27.62 set in 2015. In the 50 butterfly, Bedford had more success. His 26.55 took down Wood’s USMS national record, and was just a tenth of a second shy of Canadian Dan Thompson’s world record. 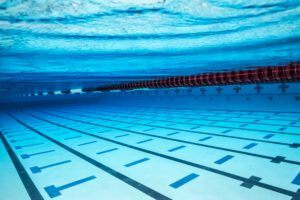 Finally, in his third event, Bedford blasted a 1:00.78 in the 100 backstroke, clipping six-one-hundredths of a second off the previous world record, held by Wood. Fritz’s mom, Jane, was watching from the stands, no doubt remembering the day she watched Fritz’s younger sister, B.J. 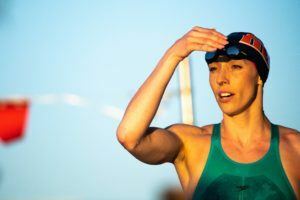 Bedford, win relay gold at the Sydney Olympics. Way to go for my awesome big brother, Fritz! He always inspired me as a kid, and now he keeps on doing it as an adult! !